Sometimes I find myself admiring movies that I know won’t be all that great after 10 minutes in, mostly because they refuse to go down without a fight. I’ve always rooted for the underdog. The Commuter starts off with promise, shows flashes of intrigue during its murder mystery middle, then pretty much falls apart by the time this train finally comes to a halt. 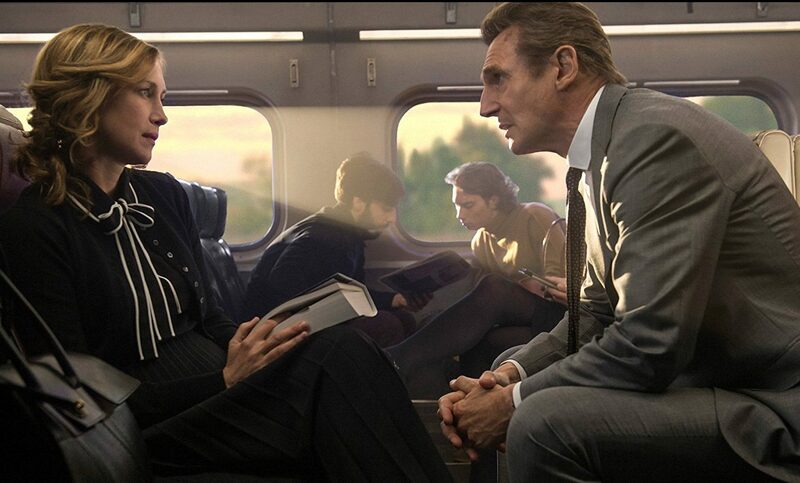 Yet despite the film’s structural issues and its many plot holes – some so obscure and obtuse that they’re empty voids of nothingness – I have to to say that The Commuter never lost my attention. It’s stupid, it’s fun, and the film entertains us through the most primitive of means. This is not a thinking man’s movie, and the story works best when it doesn’t try to lie about its own IQ, instead operating full speed ahead. 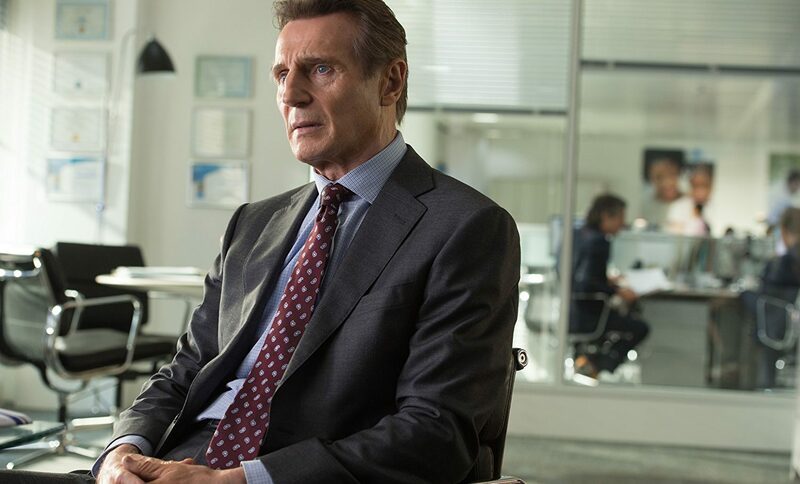 Former cop Michael MacCauley (Liam Neeson) now sells life insurance. Has for a long time, too. He’s happily married, struggles with his mortgage, and dreads his son’s departure for college, fearful every time he thinks about his bank account. Entire chunks of this film feel as if they’ve been painted by numbers, but the same can’t be said for the beginning. We peep into Michael’s routine, the small variants that occur everyday on his daily commute to work, showing highs and lows and personal struggles. It’s quite the effective tactic, ensuring us of what’s “normal” and slowly introducing us to recurring faces and actions. Then one day he’s fired out of the blue, approached by a woman who goes by the name of Joanna (Vera Farmiga), and in a truly Hitchcockian turn, is offered 100 grand to find/kill a stranger on a train. At this point, the film asks its central figure who he is without first understanding the world in which he lives. While the last third of the story jumps off the platform so as to be smothered by an incoming caboose, the initial setup shows liveliness and potential. Is Michael part of some sick, twisted social science program in the gross mold of The Belko Experiment? Could it all be a hoax and a test of his character like David Fincher’s The Game? Or is this job offer literally happening? 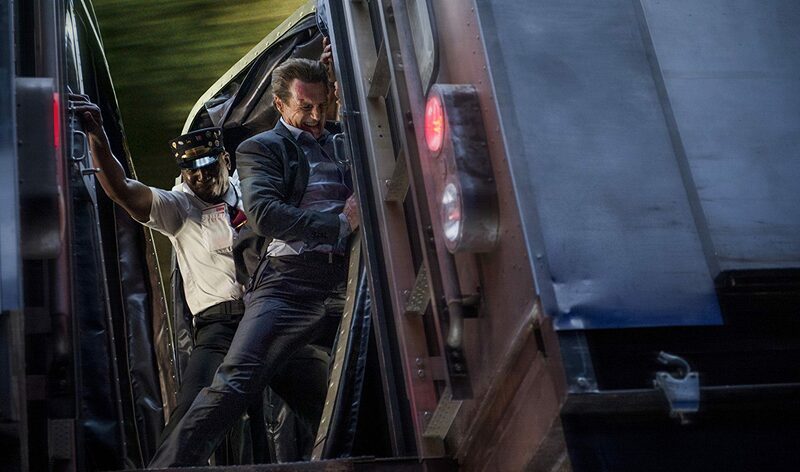 Unfortunately, The Commuter decides on the latter of the three options, and the film becomes a bit tiresome and unbelievable because it’s also the safest, most boring route. Remember how in Jan de Bont’s 1994 film Speed – for my money one of the all-time great action flicks – Dennis Hopper’s loathsome bad guy wants the money, but first and foremost wants to test the fragility of human nature when duress forces them out of routine and into a state of perilous decision-making? He plays the role of a Joker without the face paint or the psychosis, setting up situational confrontations and hoping for the worst. It’s a snaky, conniving character ready to strike at the heels of his prey. 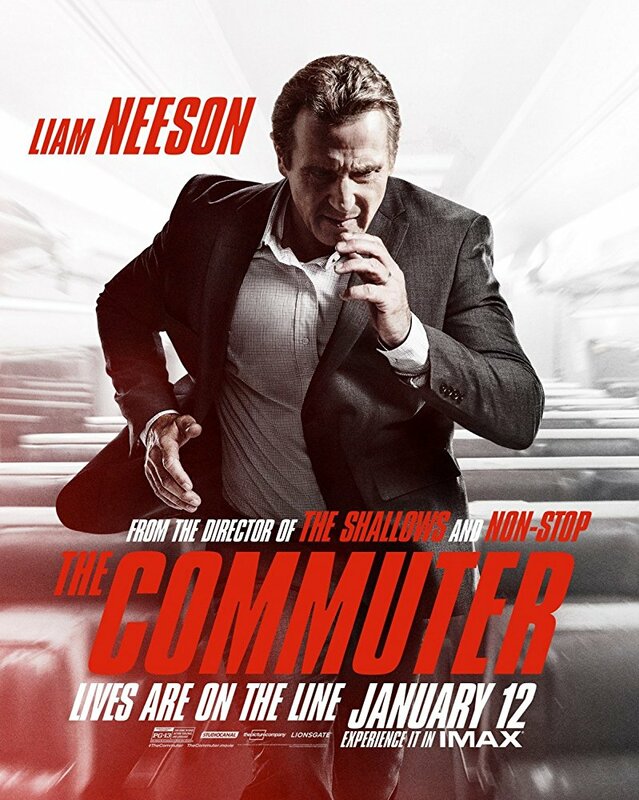 Not only would The Commuter have been an infinitely more interesting film had it borrowed this antagonistic approach, the story itself would have just made a whole lot more sense. Only the greatest genre films have the patience to develop a Pontius Pilate bad guy who’s as morally corrupt as they are anti-authoritarian. There’s a huge difference between a movie that’s finessed through a simpleminded state of mind and one that’s outright stupid, and The Commuter somehow mixes both potions together in a concoction that’s sweet on the lips and incredibly bitter in its aftertaste. I normally like movies like this one; confining characters to a single space forces introspection from the actors and creativity by the filmmaker. And quite unsurprisingly, the new king of B-Movies Jaume Collet-Serra makes The Commuter work rather well when its paranoia and stalking approach to Hitchcock’s Strangers on a Train takes up the investigative eyeballing from a long game of Clue. Is it worth your time? I’d say yes. Will you remember it a day later? Probably not. This is what Hasbro would call a Trivial Pursuit.